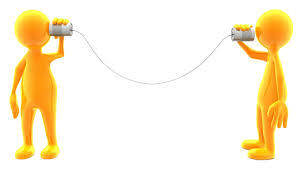 Have you ever played the game Telephone? Where you start out telling one person a sentence and then they tell the next person, and they tell the next? By the end of the line of people the sentence is, often, unrecognizable right? Communication skills are a learned behavior. So why is this? Is it simply a desire to tell the story better? Or is it the way we heard the information to start with? Maybe it’s that we aren’t very good at communicating. Communication skills often aren’t taught they are learned behavior based upon what we see in childhood. So if you have only negative examples of communication then your conversations might be a bit like the game of Telephone. So examples of poor communication skills include negative styles of communicating such as aggressive, passive aggressive, avoidance, sarcasm. blaming, having a bad attitude, and even the silent treatment. All of these modes of communication aren’t designed to create a positive flow of emotional connection nor positive communication. As I mentioned earlier, what we see in childhood is what we learn to emulate. 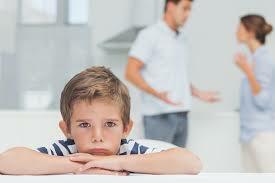 So if we saw our parents communicating in a negative way; maybe mom gave dad the silent treatment or dad avoided important conversations, this is the pattern in which we are most comfortable communicating. Other causes include lack of self-care which leads to tiredness and that can make you snappy and or have a bad attitude. A few articles ago we discussed how gratitude can affect a relationship positively. So if you don’t have an attitude of gratitude then you might be snippy or even spoiling for a fight. When you’re looking for the negative that’s what you will find. Some people in long term relationships, I’ve discovered through coaching, feel that their if partner is committed to them they can get away with poor communication skills or bad behavior. The justification being that the other person has to love them and put up with their bad as well as their good. The number one thing to do for improving communication skills is to lead with respect. A few articles ago we talked about how respect is an integral piece of the relationship foundation. Always remember how much you respect the person you’ve chosen to be with in a relationship. 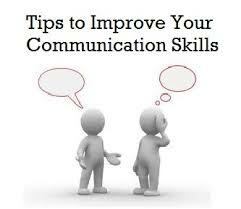 You can also improve communication skills by simply turning in your negative communication skills for positive ones! Positive communication skills include active listening, learning to empathize, think before you speak, asking questions, sharing your feelings by saying, “I feel this way when you… (fill in the blank)”, and honesty. JoyWork Suggestion: Practice offering three gratitudes daily, work on your respect, take care of your self by increasing your self care to three things daily, and practice your “I feel” statements. Let me know how you’re doing on the Accelerated JoyWorks Facebook page or in the comments below. This entry was posted in Communication, Gratitude, Respect, Self-Care and tagged Communication, Connection, Emotional Intimacy, Relationships. Bookmark the permalink. Self-care is huge. You cannot be at your best if you don’t take care of yourself. I really enjoyed your post about how to improve communication skills. Good communication can make all types of relationship better whether it be personal or business. Everyone needs better communication with family members and friends. So many hurt feelings that are unnecessary. Very True Charlotte. That’s why I love what I do. Both me and my husband need to work on this! Stick around, Jessica, I’d love to help. In fact, there is a complimentary report coming up soon on communication that you might find helpful! Thank you so much! Stay tuned because I have some more tips coming at you on Sunday. You are so very right about how childhood influences our communication skills as well as style. This could not be more true! Communication is truly key in all aspects of life. Yes! You are certainly right. I think that’s why I love working with communication so much.